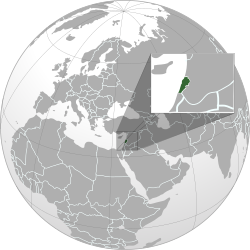 The Lebanese terrority, which is half as small as French Britanny, is composed of an unmatched variety of landscapes, including sunny Mediteranean shores, snowy mountains with the country's famous cedar trees, deserts, and flatlands. 15 years ago, they contacted Al Majmoua to finance the development of their activity starting by the reconstruction and transformation of their building entrance into an independent shop. Ahlam started with a group loan program where she benefited from two loans (300$ and 400$). After these first two loans, she had over the years 6 individual loans (from 500$ to 2000$) where the two last ones, including the one of 1500€ (funded via MicroWorld), allowed her to buy a machine to cut the dough, shelves to put the pizzas, and the counter. In Lebanon, it is very difficult to get a loan to start his business without collateral (a piece of land, for example) through traditional banking networks. The poorest population was long denied from access to financial services. 6 years ago, the International Finance Corporation found that the microfinance sector in Lebanon comprised just 11 Microfinance Institutions (MFIs) with a total outstanding loan portfolio of $33 million. After the launch of the partnership between MicroWorld.org and Pi Slice, the new microcredit platform in MENA, discover the interview of the CEO of Al Majmoua MFI in Lebanon. Microfinance helps providing financial services, small loans and insurance to poor and low-income households. The goals of microfinance in Lebanon, are to try enhancing and relieving poverty. So they encourage both men and women to form small businesses and exploit their talents and develop their skills. When they go forward with the microenterprise, they do things like, artisanal work, canning and spices. Who are Al Majmoua’s target clients? We don’t have target clients, although when we first started our target clients were groups of women based on the model developed by the Grameen Bank. But since 2001, we also lend to men, offering not only group loans but also individual loans. Even if overall our targets are people without access to banking facilities, the “working poor” in the craft industry, carers, or businesses, mainly townspeople, our philosophy since the start, has always been not to discriminate in any manner. In 2006, Israel launched an offensive in Lebanon against Hezbollah: How did microfinance bear the shock? Geographically, Lebanon occupies a special strategic location, deeply-rooted in the Middle East and facing onto the Mediterranean. Throughout history, this mountainous country, barely larger than Corsica, has seen its dominance constantly disputed by the greatest empires, notably the Egyptian civilization, the Greeks, Roman, Byzantine, Arab, Crusader and Ottoman. Its recent history is marked by a destructive civil war which lasted from 1975 to 1990, seriously damaging its economy. Formerly considered "the Switzerland of the Middle East", Lebanon is in an economic paradox: with a markedly negative trade balance (Lebanon imports 85% of its consumer goods), and public debt above 150% of GDP, the country attracts foreign investment through the financial strength of its numerous banks, and is experiencing a period of strong growth (from 8- 9% per year), driven primarily by efforts to rebuild the country. 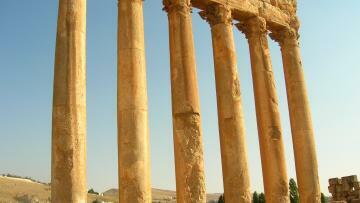 Lebanon is historically a country of trade, commerce and entrepreneurship. Its economy is now turning towards the service sector and tourism. It also benefits from preferential trade and investment with its expatriate community who have settled in many countries worldwide. 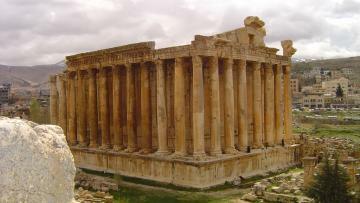 The earliest traces of civilisation recorded in the present territory of Lebanon is the Phoenician civilization, which emerged in the third millennium BC. 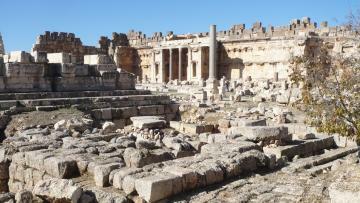 These seafaring people dominated much of the Mediterranean basin around which they organized themselves into "city-states", of which one of the best known, Byblos, is recognized by many historians as the oldest continuously inhabited city in the world. The Phoenicians established trading posts and trade relations all around the Mediterranean, notably trading in cedar wood, and famously introducing their twenty-four letter alphabet to the Greeks. Having survived independently but under the influence its powerful neighbors, Egypt and Persia, the territory of Lebanon was finally conquered by Alexander the Great in the third century B.C., and then again by the Romans in the first century B.C. It was not until the Arab conquest in the seventh century A.D. that the territory once again entered a phase of expansion and progress. Colonized by the Crusaders, then reconquered by the muslim Mamluks of Egypt, the Lebanese territory was finally incorporated into the Ottoman Empire in the fifteenth century. Upon the fall of the Ottoman Empire, France obtained a warrant from the League of Nations for the control of Syrian regions of the Middle East (including today's Syria and Lebanon). It was at this time that they defined the current boundaries of Lebanon. Lebanon officially became independent from France in November 1943. Upon independence, political power was shared between the different communities in Lebanon. Thus, the constitution stipulates that the Lebanese president is a Maronite Christian, while the prime minister is a Sunni Muslim, and finally the president of the National Assembly is a Shi'a Muslim. This political system is called a confessional democracy. The Arab-Israeli war of 1948-1949, which caused the exile of nearly a million Palestinians, about half of which fled to Lebanon, strongly destabilized the young republic. The instability of the region, made worse by the armed conflicts of 1967 and 1973 between Israel, Egypt, and Syria led to the training and arming of militia groups. In a tense and unstable climate, Lebanon fell into a civil war between 1975 and 1990, involving neighboring countries and international forces. The future of Palestinian refugees living in Lebanon to this day remains uncertain and dependent upon the resolution of the Israel-Palestine conflict. After this conflict, Israel controlled the southern part of Lebanon while Syria, mandated by a union of countries in the Middle East, took control the rest of the country in order to restore security. The Taif Agreement, signed in Saudi Arabia in 1990, marked the end of the conflict, with rebalanced power between different communities and the establishment of a pro-Syrian government. In 2000, the Israeli army withdrew from southern Lebanon, while the UN called on Syria to leave the country through a resolution signed in 2004. 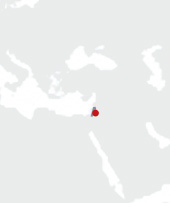 After the assassination of Prime Minister Rafiq Hariri in 2005, a demonstration demanding the withdrawal of Syrian troops in Lebanon occured in Beirut, involving approximately one million people, that is, over a quarter of the population. This event marked the beginning of the effective withdrawal of Syrian troops, and the parliamentary elections which took place shortly after they saw the victory of the coalition known as "March 14" headed by Saad Hariri, son of the assassinated prime minister. 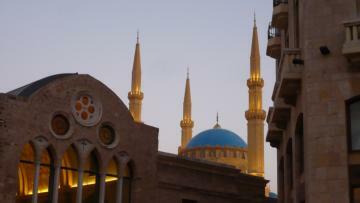 A multi-faith culture, the population of Lebanon comprises of Christians (Maronite, Orthodox, Catholic and Armenian) and Muslims (Sunnis, Shiites and Druze). The official language is Arabic, but many Lebanese speak French or English. Lebanese cuisine is world famous, taking elements of the cuisine of the Middle East (pastries) and the Mediterranean (wine and olive oil). Due to its mountainous geography and coastline, both nautical and mountain sports are popular in Lebanon, although football and basketball are still the two most popular sports. In terms of music, fashion and entertainment, Lebanon is a country in the Middle East with the most "Westernized" culture, although many representatives of its traditional culture are known worldwide. These include the Lebanese singer Fairuz, a true patriotic symbol from the latter half of the twentieth century, and French-Lebanese writer Amin Maalouf. 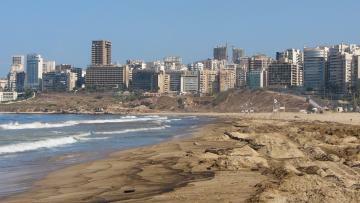 Lebanon enjoys a strong and wide-reaching banking sector. However, there is still demand for financing for entrepreneurs that traditional banks do not cover because the amounts are too low, they have no collateral, or operationally the clients are not deemed as worthwhile to serve. This market represents between 100,000 and 200,000 people out of a total population of just over 4 million. There are only a few microfinance players currently in the Lebanese market, most of which are NGOs and NBFIs. Al Majmoua, the Lebanese Association for Development is an independent, non-profit Lebanese NGO. Al Majmoua, which means "The Group" in Arabic, was established in 1998 as a microfinance program for women with low incomes, initiated by the US organisation Save The Children. Currently, Al Majmoua offers group, individual loans, and free non-financial services for business development, product improvement, marketing, networking, and personal development to its borrowers and non-borrowers. Al Majmoua is the leading microfinance institution following international best practices in Lebanon. As at 31 December 2014, it had 48,708 active clients from various nationalities, residing in urban or rural areas and Palestinian refugee camps; an outstanding portfolio of 41.4 million dollars, and a network of 23 branches countrywide. In 2014, the number of beneficiaries from non-financial services was more than 13,000. The mission of Al Majmoua is to improve the quality of life for the most vulnerable by providing the necessary services to enable them to progress out of poverty. In order to achieve this, the NGO follows its vision: to contribute to the well-being of the nation by promoting sustainable and equitable development, and helping the working poor to become economically independent and active participants in economic life in Lebanon. In 1994, a microfinance program of the NGO Save the Children USA was started to help women in Lebanon. In 1998, Al Majmoua registered at the Ministry of Interior as a microfinance NGO. A few years after reaching financial sustainability, Al Majmoua suffered the indirect consequences of the 2006 conflict with Israel, including a significant increase in its portfolio at risk. Following this experience, Al Majmoua diversified its product offering to include services such as "business recovery" for entrepreneurs whose economic activity has been suddenly interrupted. Al Majmoua’s core business is to provide loans to those who have limited or no access to formal lending channels, thus ensuring a regular source of income to them and to their families. The MFI complements its financial assistance with non-financial services that further contribute to the sustainable development of beneficiaries’ businesses and lives. Entrepreneurs working on any kind of business can find support with Al Majmoua. Although the share of the portfolio for agricultural clients is low, at 10-20%, many other types of business (grocery stores, restaurants, hairdressers, ...) or industrial activities (textiles, transport, ...) complete the mix. There are also business activities that are characteristic of Lebanese culture, such as delivery of hookahs. Al Majmoua’s team consists of more than 285 highly motivated, skilled and dedicated full-time employees. The majority of staff is allocated to the branches and Loan Analysts are recruited from their communities, thus building on their social networks and local familiarity to provide quality customer service to the clients.